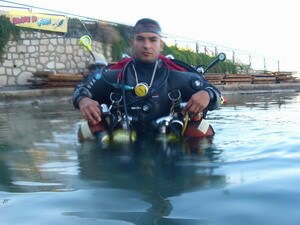 DSAT TecRec courses provide the techniques and procedures necessary for diving beyond recreational dive limits. These are some of the most intensive, yet exhilarating, courses you'll find. Technical diving isn't for everyone but if this type of diving appeals to you and you're willing to accept the risks, responsibilities and obligations, you'll find it one of the most rewarding dive experiences you'll ever have. The Level One Tec course consists of four Practical Applications (equipment rigging and dive planning), seven Training Dives using twin manifolded tanks for the back gas, and two side-mounts for gas switching and takes no more than five days to complete. The course will qualify you to make gas switch, extended no decompression dives to 40m / 130ft using air or enriched air with up to 60% oxygen, using technical diving equipment and procedures. Tec Level One is a sub-course within the Tec Deep Course. Theory is home-study or class based with a workbook. Apprentice Tec divers can either continue training to obtain the Tec Deep rating or complete further training when time allows. 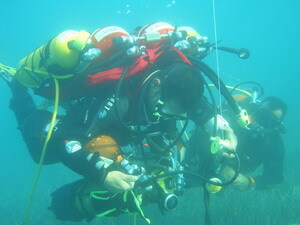 Building on the Level One Tec course foundations, the Tec Deep Course consists of eight Practical Applications, and five Training Dives. Using twin manifolded tanks for the back gas, and two sidemount tanks with up to 100% oxygen for decompression, Tec Deep training takes five days to complete. The course will qualify you to make gas switch, extended no decompression dives, decompression stop dives and accelerated decompression dives using air, Nitrox or up to 100% oxygen to 50m / 165ft, using technical diving equipment and procedures. Theory is again home-study or classroom with workbook with six Knowledge Reviews and Final Exam. The pinnacle of DSAT Technical Diving. The Trimix Course covers training and procedures for Helium based diving to a maximum depth of 75 metres. 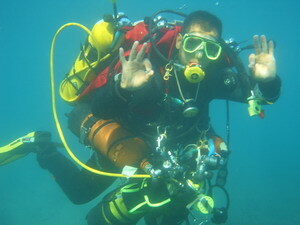 Brand new training materials including diver workbook compliment the courses objective outlines, and include 5-7 dives. Blending nitrox in an easy to understand- hands on course. In depth info on oxygen handling and Nitrox production. A must for dive professionals and divers alike. Building on the basic course. An in depth course covering Nitrox (Adv), Heliox, Heliar and Trimix production. 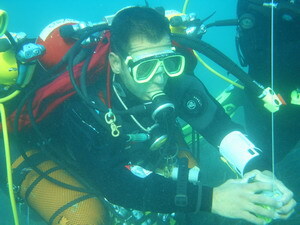 Many dive centres need this qualification. Improve your career prospects or just be self sufficient.